A young baby wastes away from illness, and soon the entire London neighborhood is falling ill and dying. How is it that only this area is affected by cholera? Dr. John Snow gets to work investigating the outbreak. He maps the area and the victims of the disease to find the source of the illness and the answer to the mystery. In Patient Zero Marilee Peters deftly sets up information about historical epidemics as a mystery to be solved. 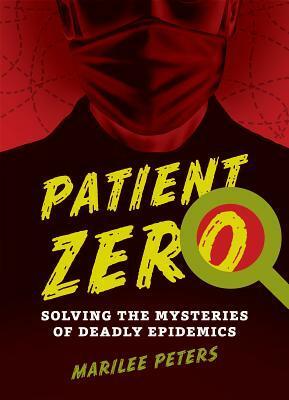 Readers learn about the patients, especially “patient zero” a term coined by epidemiologists to identify the first known case in a particular outbreak. This book has just enough suspense to keep kids reading and tons of information about history, medicine, and important epidemiologists in history. A great read for nonfiction lovers, this book includes enough people interest to engage biography and fiction lovers as well. Though it speaks of outbreaks in the 1970s, the section about Ebola is particularly timely. I thoroughly enjoyed reading this book and would recommend it as an addition to elementary school, middle school, and public library collections. This is Peters’ first book for middle grade readers. Let’s hope there will be many more. I read Patient Zero as an electronic ARC courtesy of Net Galley and Annick Press.